We have lots of info to share, so if viewing on a desktop, you may notice the lower half of our newsletter is clipped. 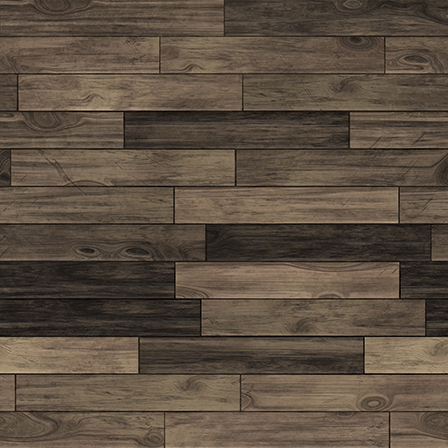 Be sure to view the entire message by clicking " View Entire Message" in the lower left hand corner of this email. 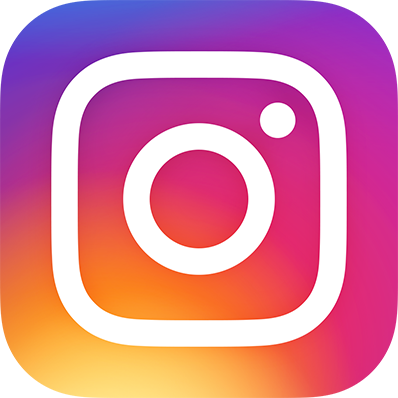 As we continue to enhance the way we connect you with all things education here in Narragansett, we invite you to follow us on our new Instagram page. 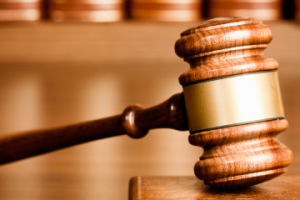 Here you will find images and videos related to what's going on in our school district. You can find our account by searching @NSS_K12 within the app or by clicking below to be taken to our profile. Remember to tag us in your own Narragansett School System related posts using your school's respective hashtags, #NarrElemSchool, #NarrPierSchool #NarrHighSchool and #Mariners! Each month, our School Committee gathers at Town Hall to discuss the current year, future goals, and initiatives taking place in our school system. We want to share this great information and have created a School Committee Summary to better achieve this. To view our most recent summary from our November 15th meeting, please click below. For a list of all our meeting summaries, please click HERE. 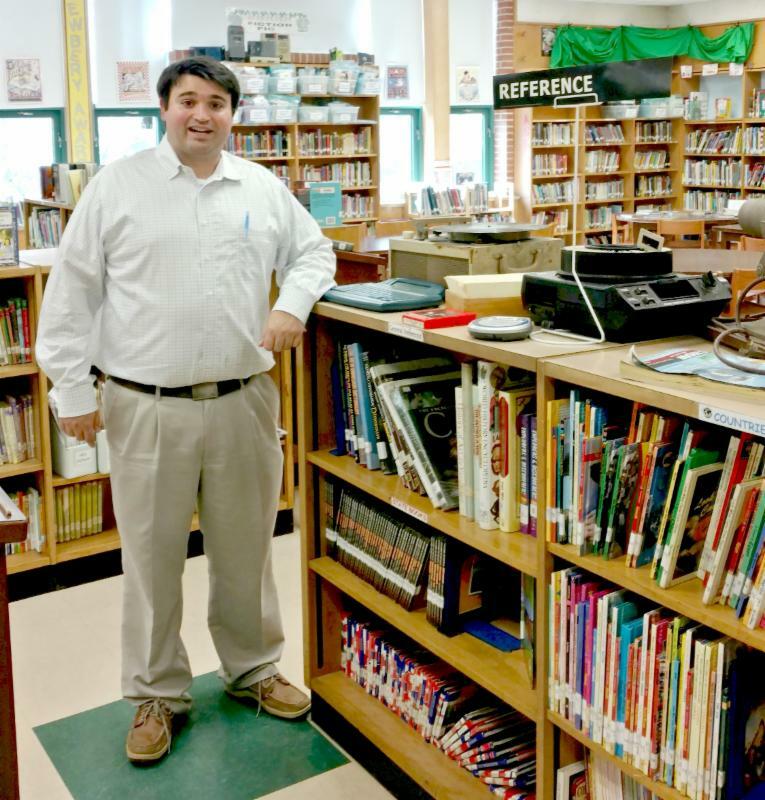 Recently, the Narragansett Elementary School welcomed former student and current School Committee member, Justin Skenyon, back to their school for a tour and informational session. We asked him about his roots with the Narragansett School System and are pleased to share how some of our committed members view their time here as a solid foundation to success. What is your current career? I am an ocean engineer currently employed at NAVATEK. which is considered a world leader in engineering designing and analyzing ship hull forms, other ocean structures and underwater lifting bodies using our expertise in computational fluid dynamics. Our main operations is out of Hawaii while the research and development branch is located here in Peacedale where I am currently working. Share an example of how NSS shaped your career or any sentiments as to why your experience here has helped you in your life . In attending the Narragansett elementary and middle schools, my experience as a member of a close-knit community that values education and individuality allowed me to utilize my scholastic strengths in math and science toward a career that fit my interests and talents. What made you want to serve on the school committee and what are your goals? I wanted to ensure that students continue to have the same great level of education that I was fortunate to receive while in the Narragansett school system. I also feel I contribute a student's perspective as it relates to issues the students are currently facing today. My goals are ensuring the success of the laptop program, expanding the number and availability of civic and AP classes while ensuring Narragansett schools continue to be one of the best school systems in the state. 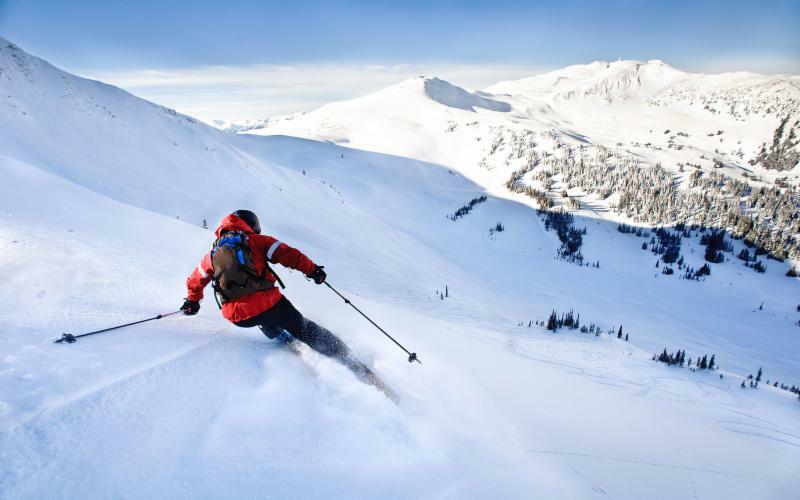 What's a hobby or activity you like to do out of the office? I enjoy being a member of the Narragansett chapter of the Lion’s club and volunteering for their many beneficial community causes. Another passion of mine is working with my friends building a car that will qualify and participate in the Lemons Race, an endurance race for low cost cars that are $500 and under. 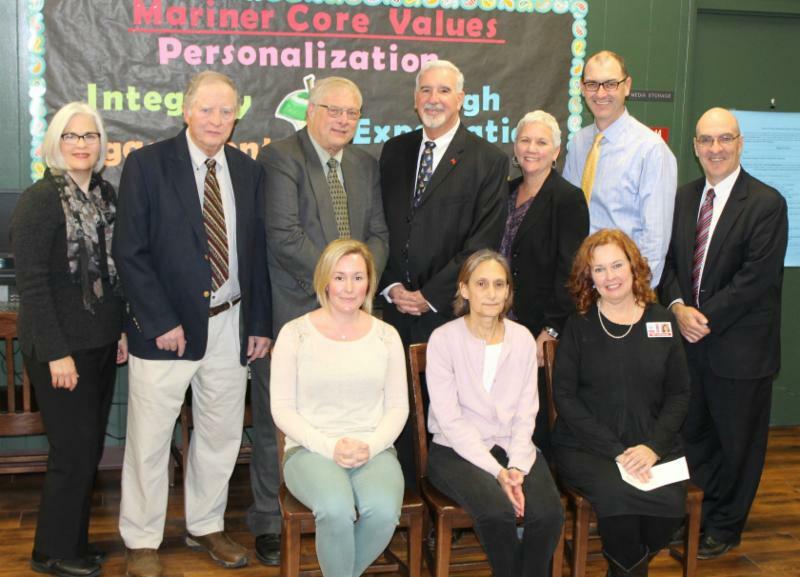 ﻿ On December 5th, the Narragansett School System was presented three grants provided by t he Westerly Community Credit Union and the WCCU Teacher Grant Committee. The three grants were awarded at NHS to three teachers representing all of the district’s schools. Members of WCCU, Narragansett Superintendent Dr. Peter Cummings and sc hool administration were in attendance. Congratulations to the recipients below who will be able to use the funds to enhance school programs and curriculum! We are proud to share that one of our students, Claudia Highcove, received the Phillis J. Young Athlete of the Year Award for 2017. She is a freshman at Narragansett High School and was the feathered Stingray player on the South County Special Olympics team. 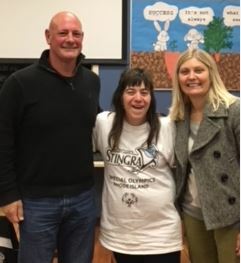 Shown here is a picture with her and Stingray Head Coach, Jeff DiMillio and Emily Clapham from URI Adaptive PE and Aquatics. Congratulations to Claudia for her hard work and dedication! 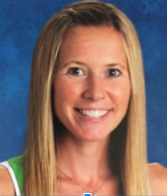 Each month, we are happy to share a little more about one of our teachers here at our schools. We hope this will help better connect you with the wonderful individuals who work hard to give our students the best experience each year, while learning fun facts about them. How long have you been a teacher here and what do you teach? I have been blessed to work as a special education teacher within the Narragansett School System for 9 years. Where are you originally from? I am from Southeast Connecticut. I went to school at Salve Regina University in Newport, RI and graduated with a Bachelor's Degree in Early Childhood Education. I continued my education pursuing a Master's degree in Special Education at Rhode Island College and continued on even further to acquire certification as a Special Education Administrator through Providence College. I have lived in Rhode Island since getting my degree in education and was fortunate to find a job teaching when I first graduated college in 2001. What is your favorite part about teaching at your school? I love walking through the school doors at NES with a great song in my head...smiling from ear to ear as I start the day with a fabulous tune, a positive attitude, and a little pep in my step. The students and faculty at NES are my family. They brighten my day, they make me laugh, they give it their all, and they fill my heart. Each and every student is a gift in this world and teaching them is something I will never take for granted. Do you have any interests outside of the school day or during the summer that you like to enjoy? In my free time, I love spending time with my husband David and two beautiful daughters Isabella and Emilia. We enjoy taking trips to Maine, New Hampshire, and Connecticut. We love visiting the library, playing at the park, baking, and making messy crafts. I also enjoy participating in local road races like the Blessing of the Fleet and the Little Rhody Runaround. I've been running since I was in the fourth grade and it's definitely something that keeps me moving and grooving daily. I'm a big fan of raising money for local charities and road races are a fun-filled way to do just that! I love to set goals within my workouts and work hard to try and achieve them. My goal this year is to run a road race with my daughter Isabella (age 7). We've just recently started training together and I'm LOVING it! What is one thing that your students and staff may not know about you? I've always wanted to publish a book, so this year I'm in the process of writing a book! I'll be creating short videos as well as writing a book in the hopes of inspiring others to take time for themselves and achieve a growth mindset through fitness. I'm not sure where this journey will lead me but I'm excited to share my passions of running and education with others. Stay tuned! 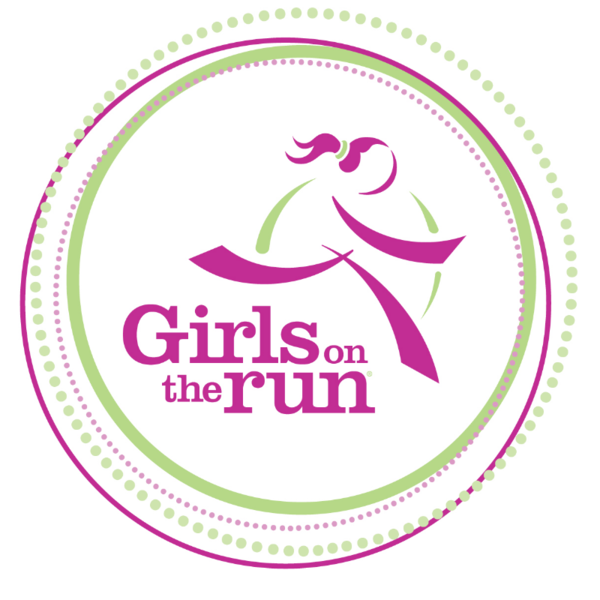 Join Girls on the Run! where every girl knows and activates her limitless potential and is free to boldly pursue her dreams. Our NES group will begin the season on February 26, 2018. Meeting twice a week in small teams, girls are taught life skills through dynamic, interactive lessons and running games. The curriculum is taught by certified Girls on the Run coaches and includes three parts: understanding ourselves, valuing relationships and teamwork and understanding how we connect with and shape the world at large. Join Us! NES will meet Monday and Wednesday afternoons 3:30-5:00 pm. A celebratory 5K will take place Sunday, May 20th at Colt State Park. For more information, please view the flyer below or call 792-9420. 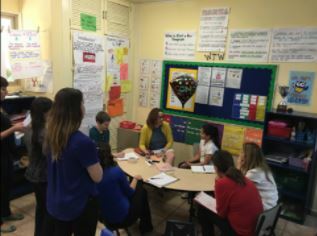 NES is giving parents the opportunity to learn new ways to support their children to explore their writing identities and grow as writers! You may have noticed the many posters made by PBIS ambassadors hanging around the school for Silly Sock Day. Below is more information about it and why it's held each year. 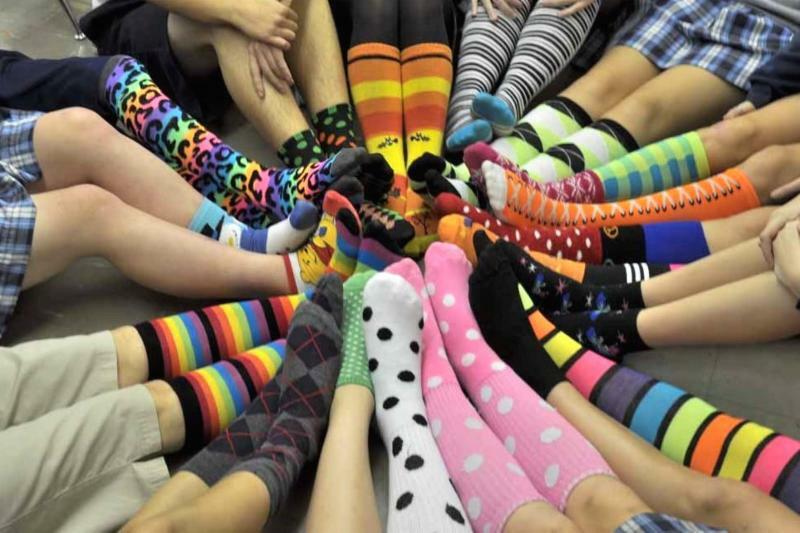 What : Students and staff are invited to wear your silliest socks. Why : This event that kicks off holiday break is a part of the NES Feinstein Good Deeds Project List done throughout the year. It also raises donations for a local charity. Each person to participate will have a donation made on their behalf by the school to Welcome House South County . The Welcome House is dedicated to helping end homelessness in Washington County by offering emergency shelter, a soup kitchen, transitional and supportive permanent housing, as well as, case management and advocacy for neighbors in need. Robotics Teams Head to Championship! Our talented NPS Robotics Teams recently entered into one of multiple state qualifying tournaments throughout the state where over 70 teams competed for 40 spots at the State Championship. We are excited to share that four out of the five Narragansett teams qualified for the State Championship, which takes place at Roger Williams University in Bristol, RI in January! They will complete against the other top teams in the state that made it from their respective qualifiers. Each team had to present their research a nd solution to a problem that had to do with water: how we use, transport, store or dispose of it. They also had to design and build an original robot to complete missions on a game board, display gracious professionalism and score enough points to make it beyond the qualifier. On Saturday, December 2nd, at the qualifier hosted by the Gordon School in East Providence, the youngest after-school Narragansett team, "Hydro Dynamics," coached by Ms. Miller scored very well in their research project but just missed the mark on their robot score to make it past the qualifier. They will be heading to an invitational on January 20th to have another go at the robot game. The after-school team "Niles River," coached by NPS Alum, Nick Niles, qualified for the championship. 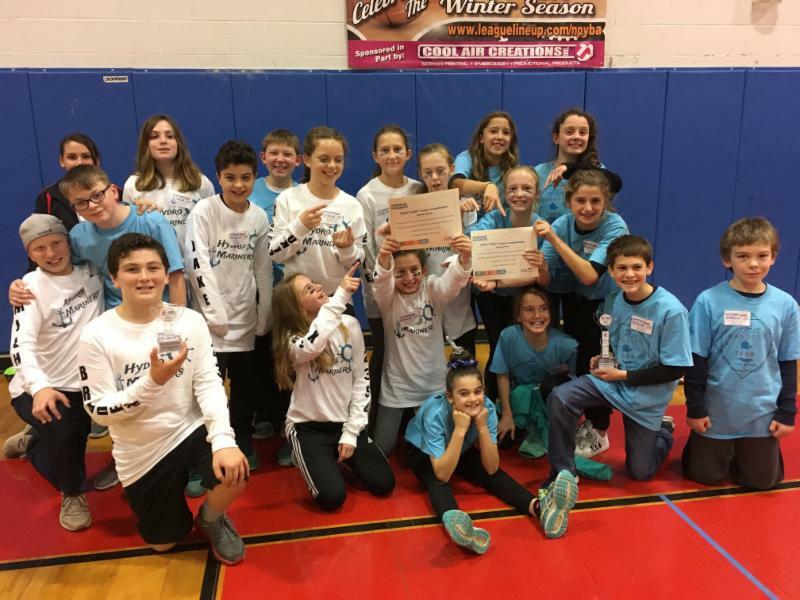 On Saturday, December 9th, at the qualifier hosted by Ricci Middle School in North Providence, teams "Hydro Mariners" and "Gansett Flow," Ms. Miller's 6th grade enrichment teams, both qualified for the state championship; Hydro Mariners winning 2nd place robot score with 125 points (an NPS record!) and Gansett Flow winning 1st place research project for their invention of a toothbrush that saves water while you brush. On Sunday, December 10th, at a qualifier hosted by All Saints STEAM Academy in Middletown, after-school team "Straight Outta Pipes," coached by NPS parent Anthony VanSlyke, won the Robot Design Award and also qualified for the state championship. The qualifying and championship events are sponsored by National Grid and Verizon Wireless. For more info on NPS robotics teams or specifics about these events, please email Ms. Miller by clicking below. You shop. Amazon gives to the Narragansett Schools PTO! 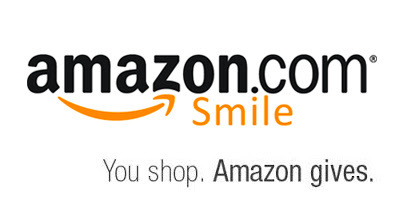 Amazon will donate 0.5% of the price of your eligible AmazonSmile purchases to our NPS PTO whenever you shop on AmazonSmile. Just use your existing Amazon.com account on AmazonSmile as account settings are the same. 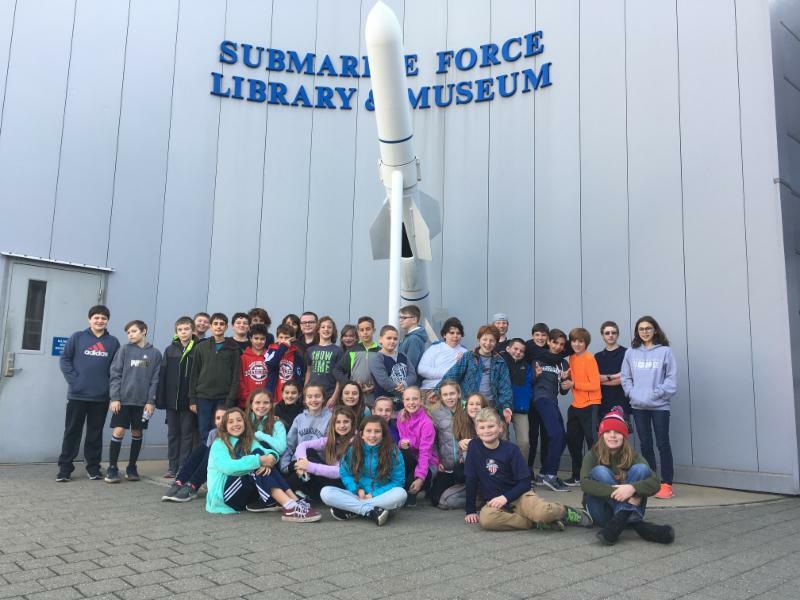 On Monday, November 27th, NPS Robotics Teams visited the Submarine Force Museum in Groton, CT where they were met by Narragansett parent and Undersea Warfighting Development Center (UWDC) employee, Rob Mushen. Students received a private tour from the Education Director of the museum and then explored the first nuclear-powered submarine, the USS Nautilus. The day concluded with a q+a session with US NAVY Member CDR Mike McLaine and a special guest from the Royal NAVY where the students learned about the history of submarines, the hydrodynamics of a sub, and many more interesting facts in this engaging session! Our school's Annual Pier School Food Drive is in full swing! This collection will benefit local families during the holiday break. 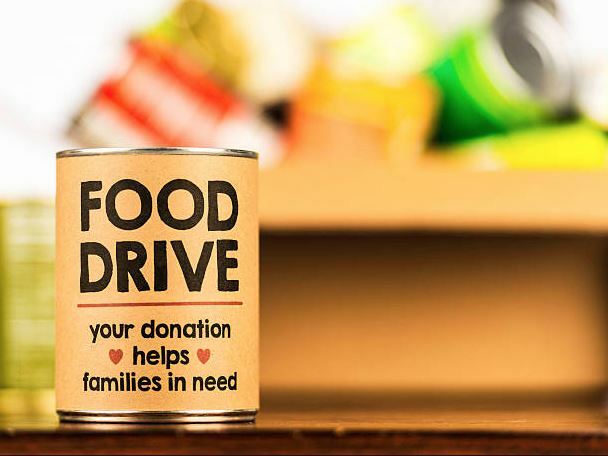 The drive ends on Monday, December 18th and if you still want to take part, non-perishable donations of any kind are welcome. Below is also a list of specific food needed for our families. On Sunday November 26th through Wednesday November 29, NHS Junior Lily Moskwa, participated in the 2017 National Association for Music Education All-National Honor Chorus at Disney’s Coronado Springs Resort in Orlando FL. She was accompanied by Sarah Kane, the NHS Choral Director and Training Chorus Conductor for the Rhode Island Children's Chorus. Lily is a talented vocalist and percussionist and along with being a member of the NHS Chorus, she is also a part of Advanced Treble Chorus, Band, Jazz Band, Drumline, member of the RI Children's Chorus, HS Honor Choir and Chamber Choir. She has been a featured soloist, as well as a section leader and teaching assistant for the NHS Chorus. 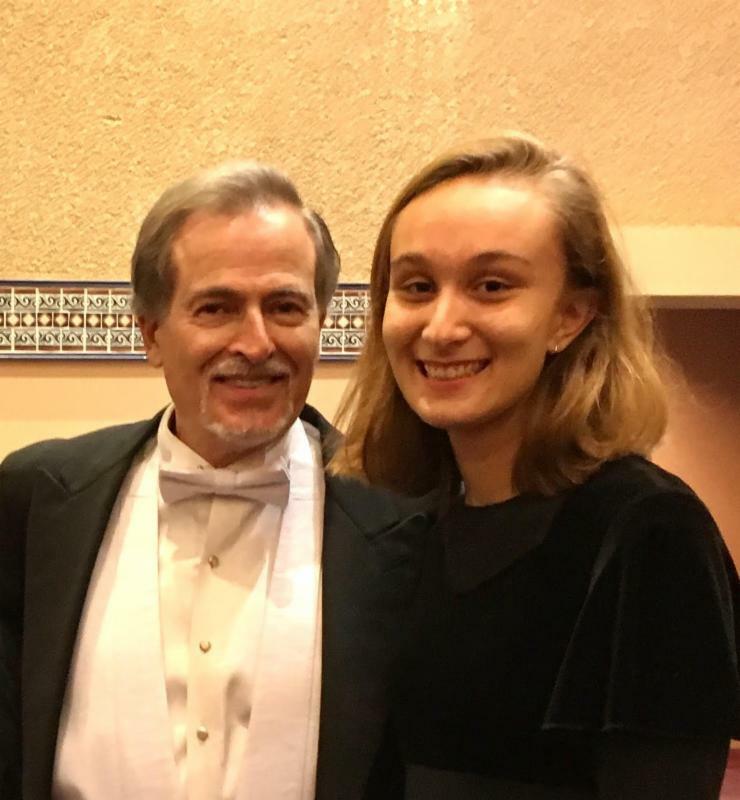 In addition, she is a 5-year RI All-State Chorus participant (2014, 2015, 2016, 2017, 2018). There were approximately 250 students from all around the country selected to participate, based on both their All-State rank and a video audition. There were 5 students, including Lily, selected to represent Rhode Island in the Mixed Chorus (as well as 2 in Orchestra and 1 in Band). The All-National Honor Chorus was conducted by Dr. Z. Randall Stroope, who is the Director of Choral Activities at the University of Oklahoma and a celebrated composer of choral music. The NHS Music Department congratulates Lily and is extremely proud for her acceptance and participation in this prestigious event! On Wednesday December 13th, select High School students in the Information and Computer Technology program, attended the 2017 CS4RI Summit at the University of Rhode Island. Governor Gina Raimondo created this initiative and addressed the many talented students at the summit, which aims to inspire the next generation of computer scientists, entrepreneurs, engaged tech sector employees and anyone who wants to build the skills of the future. This summit also allows students to become familiar with the many educational and career opportunities that result from studying CS. 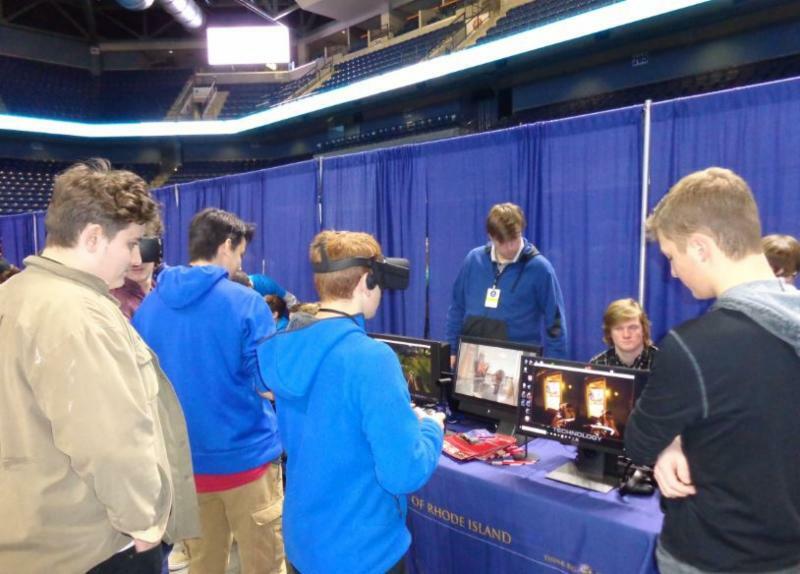 NHS students demonstrated some of their newest virtual reality animation skills and invited attendees to experience the computer worlds they created in class through our Oculus VR headset. The booth was busy all day with more than 200 people taking part in the demonstration and were interested in learning more about our students and programs! Thanks to Chris Herz and the students for representing our district in such a creative way. Times: Trips depart promptly at 5:00am or 5:30am, depending destination. Please see your individual confirmation for arrival/departure details. Only a small cooler that fits under your seat will be allowed. Buses leave from Warwick Park and Ride; 292 Centerville Road, Warwick, RI. Stay Connected To Our Schools!